As your expectant Planet Natural blogger prepares to enter a season flush with zucchini, a thought entered his mind. Which of the vegetables that we plant each year give us the biggest return on our dollar? Zucchini, so prolific, should certainly be on any list of vegetables that give the most bang for the buck. What are the others? 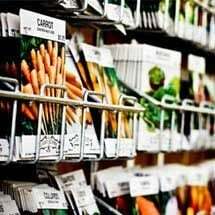 The answer depends on several things: how well certain vegetables grow in your conditions, what you like to eat (and what you don’t), and what you pay for produce at the market. Some vegetables give high yields when conditions are right — think tomatoes — but may not be so productive when grown in cool, cloudy and otherwise less than ideal conditions. We grow tomatoes even if we do live where there’s a short or cool growing season just because we love home-grown tomatoes. And why grow a vegetable, no matter how prolific, if you don’t like to eat it? In other words, the most cost effective vegetables to grow may be different than your neighbor’s and certainly different than your cousin who lives away across the country. A true calculation of cost efficient vegetable raising means considering such factors as fertilizers, amendments and how much water those vegetables require. Depending on how much space you have, a truly cost-efficient garden will use techniques such as vertical gardening to get the most from a small plot. 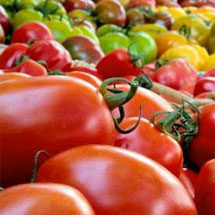 What it costs to buy your vegetables at the market is an important factor. 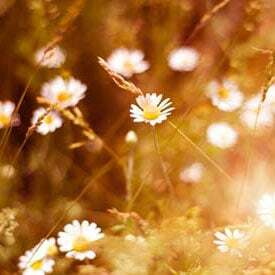 While certain reliable sources (thank-you, Michigan State University) suggest that growing a garden can save you money, they also hedge by saying it depends on what you spend to grow your produce. William Alexander’s book The $64 Tomato holds a humorous object lesson on just how expensive gardening can be if you let it. But it doesn’t need to be. 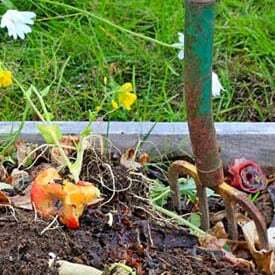 Over at Old House, New Garden, Michael Weishan offers a good ways to think about your vegetable gardening. 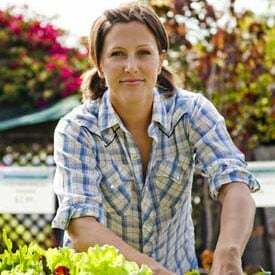 Like a lot of folks with advice on getting the most from your vegetable garden, he suggests you grow what’s most expensive to purchase. He also suggests that you plant what your family will eat. If they don’t like kale, don’t plant it even if growing it at home is a lot cheaper than buying a bag (landfill alert!) at the market. 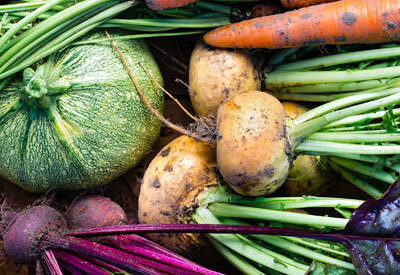 Here’s our list of most cost-efficient vegetables to grow, based on our personal preferences. We’ve found these recommendations to hold (mostly) true in our experience, which includes stints in high-altitude, short-season Bozeman, Montana, coastal Southern California with its frequent, overcast mornings and the often-cloudy Pacific Northwest with its rain, moderate temps and unpredictable summer sun; and finally, the warm and humid midwest, great for corn, winter squashes and (yes!) tomatoes. Greens. This includes lettuces, kale, arugula and some Asian greens. Eat a lot of salads? Leaf lettuces are easy to grow and productive in their cut-and-come-again way. Head lettuce take more time and attention. If you’re truly needing to get the most produce from your garden, plant leaf lettuce thickly and use thinnings as baby greens. Braising greens — those that are best after a bit of steaming or other cooking method — also give a good return. 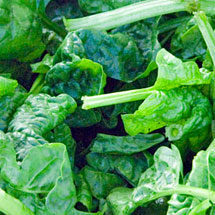 You can get a lot of good eating from a spinach patch but remember that it cooks down to a fraction of its raw volume. Spinach also doesn’t offer the advantage of cut and come again harvesting. Broccoli. High-quality organic broccoli can be expensive in the stores. To get the most per plant, grow varieties that produce abundant side shoots after the central head is harvested. Don’t overlook using the stalk beneath the florets. 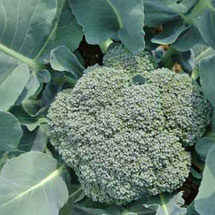 Peeled of its skin (can be tough), chopped broccoli stalks make for healthy, tasty additions to soups and stir fries. Green Beans. Don’t have much space? 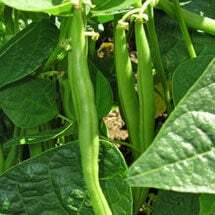 Grow bush beans. Pole beans may offer slightly higher yields but need a bit of room. Either way, purchase types that offer long harvest seasons and keep them picked to encourage more production. Herbs. 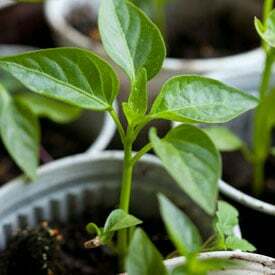 Most herbs are easy to grow and will do well in containers or other small spaces. When you consider the cost of fresh herbs bought at the market, growing them yourself makes for good value. And the quality of herbs freshly picked from your garden is vastly superior than those picked a day or two ago and trucked to market. 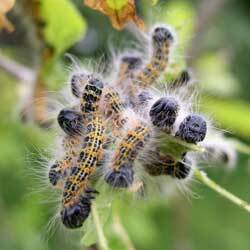 Herbs including rosemary, cilantro and basil can be extremely cost effective. Turnips. Turnips give great early greens and wonderful roots that are tasty roasted whole, fried in slices, or boiled, mashed and creamed. They can stand a little crowding and they’re early harvesters so that, in the same space, you can get a second, late-season crop of spinach, lettuce or …turnips! Beets, also grown for greens and roots, can give you bang for your buck. Tomatoes. Though it was my good fortune to grow up in a region where a couple tomato plants always produced a bumper crop, it’s been my misfortune to live in a number of otherwise beautiful spots that are too cool, cloudy, or short-seasoned to have much success with tomatoes. If you live where tomatoes do well, and that’s a lot of the country, it’s not difficult to grow enough tomatoes for fresh eating, canning and sauce making And it’s really hard to do a direct cost comparison of home-grown and store-bought tomatoes because the home-grown ones are vastly superior. Hard to put a price on the remarkably better tasting home-grown tomatoes. Potatoes. Got room? Grow potatoes. Sure you can buy bags of potatoes at the market for (relatively) little money but even a small patch of potatoes can brings great rewards, especially when growing hybrids that aren’t available in the stores. Zucchini and other summer squash. Sure, grow zucchini. (Hint: one plant may give you all the zucchini you need so don’t plant more unless your appetite for the summer squash is boundless.) Fruits mature quickly so be sure to pick them every day. Slice small young fruits to eat raw in a salad, grate larger fruits for in soups and stir-fries, add sliced or chopped zucchini to casseroles (peeled, it makes a great layer in lasagna). Make zuchinni bread and pickled zucchini. Big zucchini can be scooped out and stuffed. If you still have some leftover, turn them into art projects for kids. Some types of summer squash can be highly productive as well. 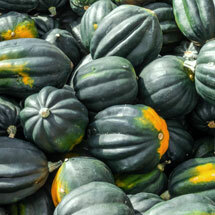 And they add a little variety to your harvests which this time of the year may be heavy on zucchini. The neighbors chime in. Gardeners we know also suggest cabbage (a big head goes a long ways), corn (often abundant, always better quality than store-bought), cucumbers (take a up lot of room but can be prolific), winter squash (look for the most productive varieties), and chard (keep sending up new leaves after mature leaves are harvested). Again, everything depends on the space you have, your skills as a gardener and which foods you prefer to see on your dinner plate. Which vegetables give you the most bang for your gardening buck? Let us know, in the comments at the bottom of this page or over on Facebook. A garden and kitchen staple, unique beans — bush, pole or shell — are a summer treat!